What are the 5 mandatory skills necessary to become a total pro? Watch this video and read the post below to find out! Many people will fizzle out and quit on their dreams right in between #2 and #3, right before they actually master being a home business freedom-preneur! Naturally, you must skill up until you’re in mastery. Your belief level guides what action (or lack thereof) you will take. If you don’t have 100% belief, you will take less action. If you have even 1% of doubt and you’re not all the way “in”, you will let anything stop you. Fear and doubt will easily stop you if you don’t have total belief in what you’re doing. So, your belief leads to your actions. Your action leads to your results (or lack thereof). Results means making money, (or lack thereof). Making money will take your belief level through the roof, (or lack thereof), as it spirals upward (or downward), because now you have even more or less belief that will make you take more or less action! In order to seal your belief, you must be reading wealth books, and keeping your mind in the right environment. No more taking advice from poor or month-to-month struggling employee minds. If you want a life of abundance, then you only want to listen to people who have success in this area. Once you have 100% belief in what you’re doing and where you’re going to invest your time, to get you the life you desire, you’ll start taking the right actions to get there. Find the successful people who have the results you want and simply copy them. If you’re looking to get free financially, then in the wealth books, they’ll tell you, “the best way is to invest your time into passive, leveraged income”. Get around the pros. “Plug in” to the environment. Practice, train, consult, ask questions, listen to the answers. Listen to proven mentors. If you don’t listen, you’re wasting your own time, and theirs! The reason I got better faster, was that I was around the best of the best, and it got my learning curve down faster. I was “pushed”, every single day, just from being around the right “next level” environment. After you take enough massive action, you’ll know what to do, all the time! I consult with my team after they make their calls and presentations, to track and see what worked, and what could be done differently. You can’t just read books and go to events to hear training on how to be a pro basketball player. You must get on the court and start dribbling! You’re going to make a ton of mistakes, so hurry up and make them! You’ll crash and burn, but you learn every time. Get back up and do it again, and you’ll know what not to do the next time. Every crash and burn is actually a WIN! Don’t let “fear of making mistakes” stop you. The work will train you! 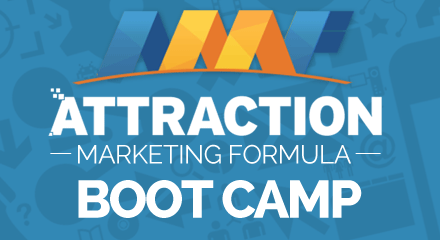 Massive action is a guaranteed way to explode your business. Always think, “is this duplicatable?” Do not reinvent the wheel. Many times, when high-end professionals come into this business, they want to do all the talking, (which is not very duplicatable), or they wait until they “know everything” before they take action. Do you want that to duplicate in your team? Also, remember, this isn’t a sprint, it’s a marathon. Don’t drive yourself crazy, thinking you’re supposed to make a ton of money in the first year. Give yourself time to get skilled at this, so you can actually be in a “knowing” space to teach the same principles. Only after you’re pretty good at this, can you really duplicate effectively. We want to duplicate LEADERSHIP! You must grow yourself into the person you needed to be, for the money to come! This is duplicated! Leverage is the key to your freedom. If you’re not skilled with the system, building yourself into a leader so you can duplicate other leaders, you will not be able to get the leverage needed to eventually get yourself free! So make sure you work hard and think smart, to have all 4 of the above in place. My belief is that this business model is the most beautiful thing out there. It looks better when people are actually MAKING IT! Stick in long enough to become skilled. Be committed. There is no “try”. Do you “try” to show up for work right now? No, you just DO IT. Don’t let the doubters and cynics win! YOU must WIN, with all of us, and it makes our whole industry look beautiful when people are actually making it!